Jilebi malayalam movie to be scripted and directed by debutante Arun Shekhar featuring Jayasurya and Remya Nambeeshan will kick start from the last week of February 2015 with Dubai and Kerala as the shooting locations. Touted as a comic crap, the movie is blessed with the presence of Neeraj Madhav, Joju George and Vijaya Raghavan. 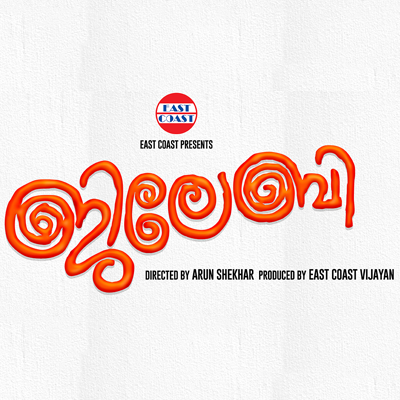 Jilebi will be produced by East Coast Vijayan under his own banner East Coast. After a majestic year of 7 releases, actor Jayasurya is all set to don the grease paint for a handful of movies in 2015. After wrapping the shoot of 'Aadu - Oru Bheegara Jeevi Aanu', Jayasurya is teaming up with East Coast for their next production venture. Titled 'Jilebi', the movie directed by debutante Arun Shekhar will be creamed with humour at its best. Remya Nambeeshan plays the lead heroine while Neeraj Madhav, Joju George and Vijaya Raghavan will also be seen in prominent roles. A number of fresh faces including child artists would join the project which is expected to kick start from the last week of February 2015. Dubai and Kerala are considered to be the shooting spots. After the successful journey of 'My Boss' East Coast Vijayan will cash for the movie under his own production house 'East Coast'. For the lyrics of various writers, the tunes will be set by Deepak Dev. The cinematography will be safe in the hands of Alby. Having an experience working behind the camera from few ad films, Arun Shekhar would be looking forward to create his own space in the malayalam film industry. Meanwhile Jayasurya, who is well-known for his dedication towards the characters, has experimented with an interesting look as Shaji Pappan in Midhun Manuel Thomas's 'Aadu Oru Bheegarajeevi Aanu' which is slated to get released in February. The actor sported a completely different look, with a huge moustache and trimmed hair. He has also signed two more projects; V K Prakash's 'Shake Hand' and 'Kumbasaram'. Touted as a romantic comedy entertainer, the movie ventured by V K Prakash is currently under pre production stage. Biju Menon has also been roped in for an important character. Scripted by Y.V.Rajesh, the movie will go on floor in March. Jauasurya will be paired with Honey Rose in 'Kumbasaram'.